Gourmet Garden is forging ahead with a design-led strategy and overhauling its food production and design, packaging, distribution and marketing strategy all in the name of better brand connections with customers. 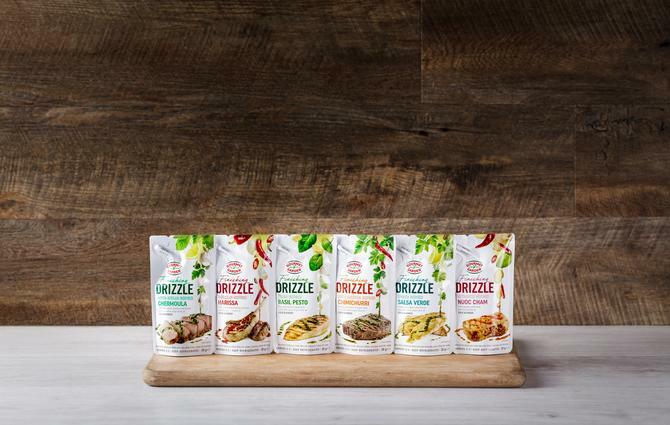 As part of the customer-led plan, Gourmet Garden, acquired by McCormick & Co in 2009, has taken the wrappers off of its latest ‘disruptive innovation’, Finishing Drizzles. Global innovation manager for the group, Jacqui Wilson-Smith, told CMO the latest product line, which is being sold exclusively through Coles, aims to help busy home cooks who seek healthier, fresher condiment options to enhance grilled meat. “We are looking at giving consumers a healthier option and an alternative to sauces, chutneys, mustards and mayonnaise by using herbs and spices and extra virgin olive oil,” she said. Launching a new product line is one thing, but Wilson-Smith said Finishing Drizzles exemplifies the company’s more transformative push toward a collaborative, design-led environment. She described it as an example of how a company can deliver innovative design in response to customer pain points. In this case, the core needs are food freshness and eating healthy, hitting the right price level, and providing convenience. For Gourmet Garden, being design-led means being obsessed with the customer. To do this, the company rolls up its sleeves and get into consumers’ homes to spend time understanding their needs. Cross-functional teams, either featuring pairs of people or larger groups, spend time with consumers and do countless observations. Diversity of teams and of people is key in order to understand consumer problems and to get strategic direction, which leads to company alignment, Wilson-Smith said. “We will co-design and rapidly prototype solutions with our consumers in small groups. And it’s not just with the marketing or innovation people - and that’s really key. We spend a lot of time with different people within the organisation and go into consumers’ homes, do accompanied shops with them, or visit our buyers so we spread that knowledge of consumer problems across the organisation,” she said. According to Wilson-Smith, this boosts the overall innovation discussion. “We always have a story of a consumer for a project we’re working on, involving three methods including a ‘one-page snapshot’ of our consumers’ journey,” she said. McCormick & Co has developed three main consumers: Suzie (the serious user); Lucy (the light user), and Sam (the male or female millennial). Another educational method is a solutions bank, which delivers a host of ideas to address the list of pain points. The group also uses storyboards to further bring to life the customer journey. Underpinning the customer-led strategy are technology tools. On the data front, for example, the company is using Quantium in a bid to glean greater insights into customer behaviours. It is also heavily relying on ‘herbs and spice’ data from its parent company, McCormick & Co.
“From a social media perspective, we’ve been able to get so many more insights through following and tracking the feedback we get,” Wilson-Smith continued. But while getting insights is key, she acknowledged that pursuing innovation requires heavy duty risk taking. “Innovation is very difficult to do if you want to push the boat out a bit. With Drizzle, we are pushing the boat out, and whether it will succeed in its current format, we’re testing it. This is a pilot in the marketplace,” she said, adding the team is analysing everything from marketing and communications to merchandising to pricing to product packaging. Wilson-Smith hasn’t always been at the forefront of marketing and innovation. She claims she started her career in the “the wrong lane” as a graduate accountant for Ernst & Young before jumping ship when one of her clients was looking for a marketing assistant. Wilson-Smith has since held senior marketing and innovation roles in agriculture, food, drinks and wine for over 20 years both in Australia and internationally, including work stints at Kraft and Starbucks. Since 2009, she has led a team of innovative thinkers at Gourmet Garden to put the customer’s journey first. Under her approach, the organisation has won numerous awards and more than doubled sales in its category. Additionally, Wilson-Smith is passionate about safeguarding the future of Australia’s agribusiness. She is the chairman and co-founder of FAN (Food & Agribusiness Network), a not-for-profit organisation designed to promote collaboration and openness among farmers. Good food innovation has a flow-on effect from farms to forks to finances, she said. It’s now her mission to switch the mindset of today’s agribusinesses so they can become businesses that embrace collaborative, design-led and audacious thinking. 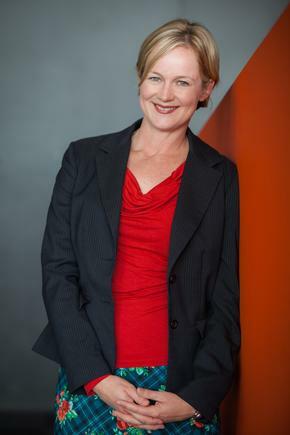 Earlier this year, Wilson-Smith was awarded the RIRDC Queensland Rural Woman of the Year, and plans to use her bursary winnings to launch a FAN online learning platform to enable the creation of virtual communities where rural businesses can join forces, learn how to speed up the pace of innovation and create business growth. “There is an appetite for collaboration and sharing - people just don’t have the time as individual businesses to go out and do it, and don’t know how to do it,” she said. “That is something FAN has been able to do and come in and connect the dots for people - and be that conduit for helping to make that sharing and collaboration happen. Wilson-Smith advised companies interested in taking a design-led path who are keen to embark on innovation to adopt a healthy attitude towards failure. “Arrange and structure your business so you enable yourself to try and pilot new ideas that push the boundaries, with the view that your profit models are geared up so that you can, and risk is allowed. Push the boat out, test it that little bit further. Have a safety net, so it is okay to fail,” she advised.